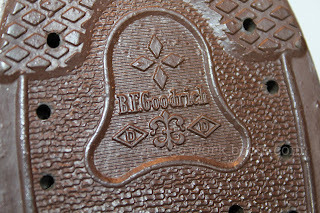 Georgia Boot history. 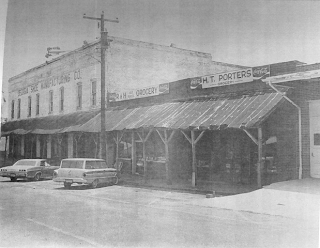 In 1932, William Brooks, joined by his brother F. M. "Mike" Brooks, founded The William Brooks Shoe Company in Nelsonville, Ohio, about 60 miles southeast of Columbus. 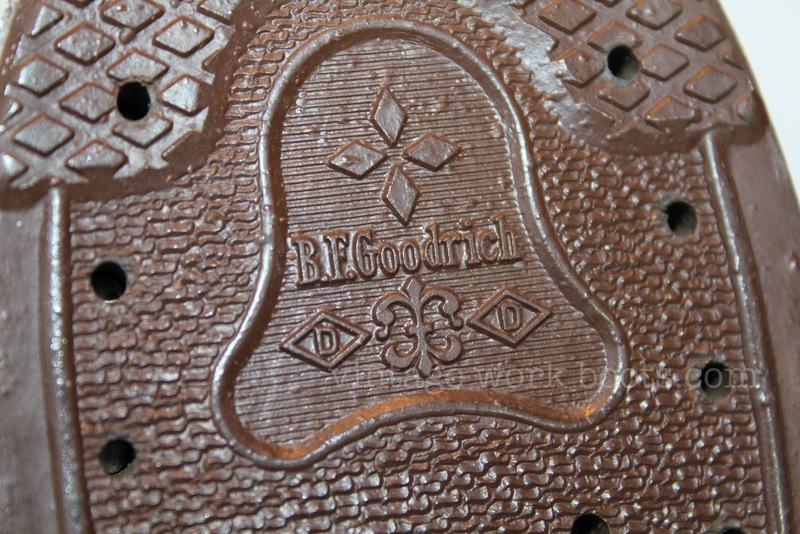 Both men had lost their jobs during the Great Depression when Godman Shoe Co. of Columbus went bankrupt. 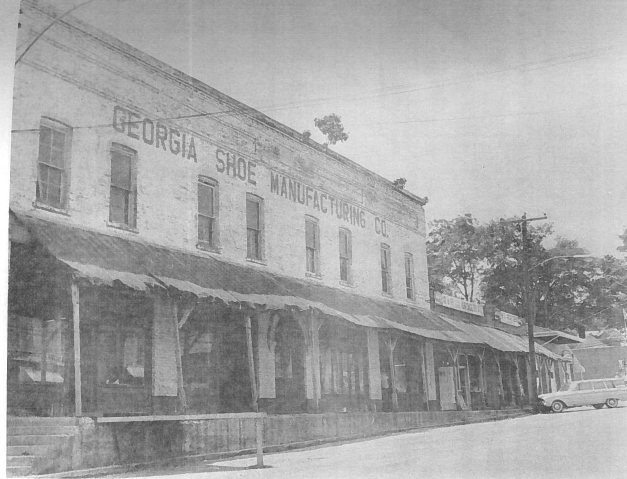 In search of opportunity, the brothers set up shop in a rent-free factory with lent equipment and what would eventually become The Georgia Shoe Mfg. Co. was born. 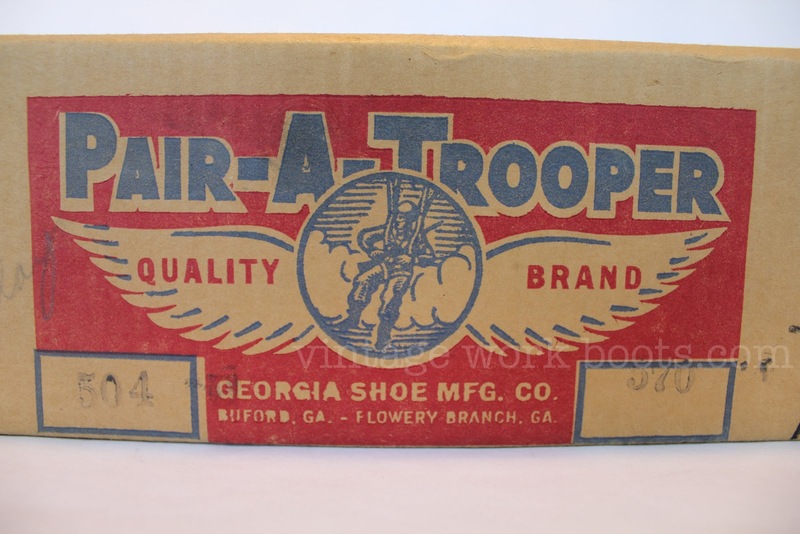 The company originally employed 50 to 100 workers with a production rate of 300 pairs of shoes per day. With a newly-constructed addition and the installation of more equipment, by the mid-1930s the factory employed 225 people and production output increased to more than 2,000 pairs per day. 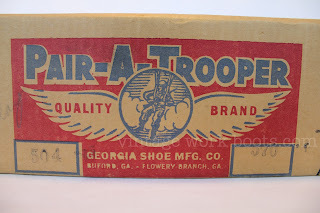 During the 1940s and 1950s business continued to grow and the company supplied more than one million pairs of shoes and boots for military conflicts such as World War II and the Korean War. 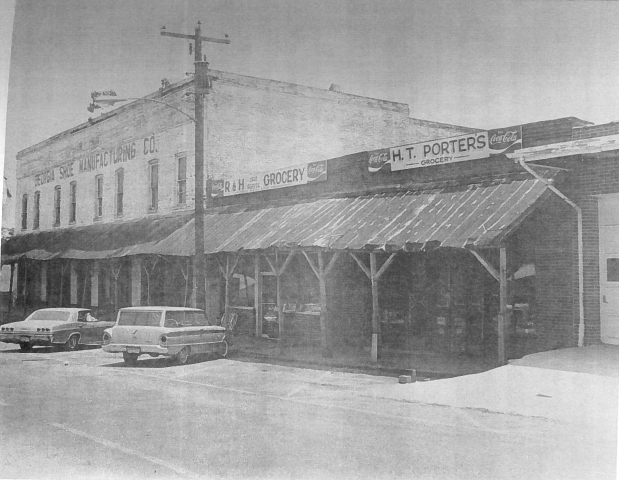 In 1974 Mrs Elisabeth M. Lott compiled THE HISTORY OF FLOWERY BRANCH, GA 1874-1974. The information below is taken from her work. The Georgia Shoe Mfg. 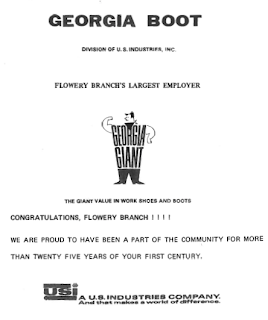 Co. was established in Flowery Branch, GA in May of 1946. Eight hundred and fifty are now employed. 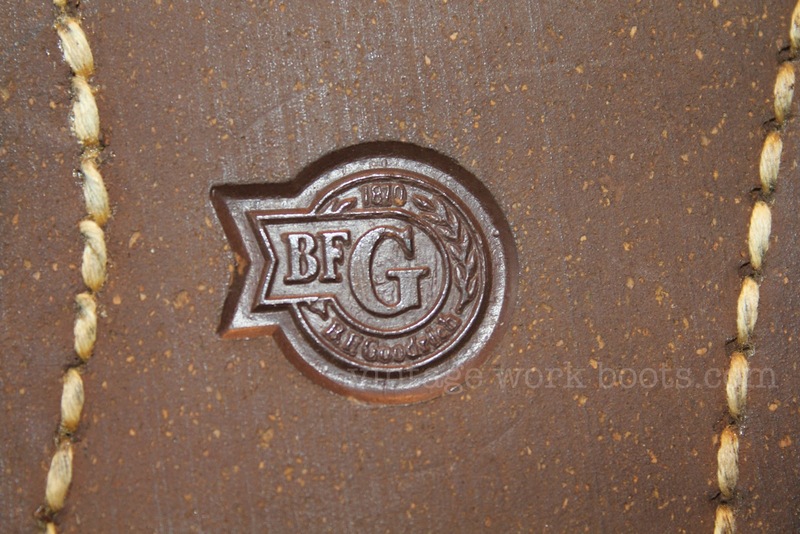 It manufactures 7,000 pairs of shoes a day. 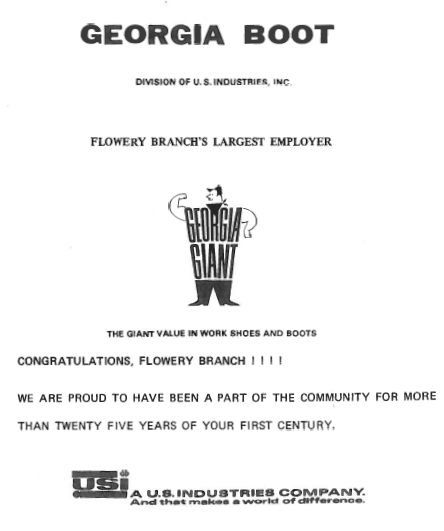 There are two plants, two warehouses and one main office located in Flowery Branch. 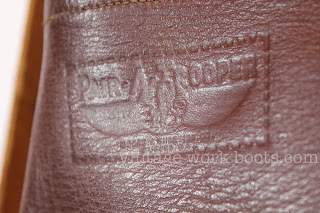 They get their leather from Horween, Superior, Lannon, Trostal and Griener Co. 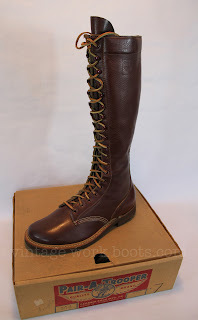 I think my heart just skipped a beat, those are a dream! Wish I had seen them before they sold. Those seem like a sturdy pair. 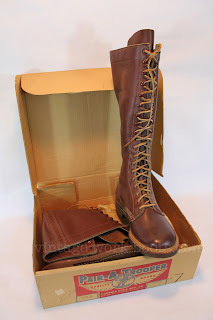 Didn't know that there still are '40 and '50 boots for sale. 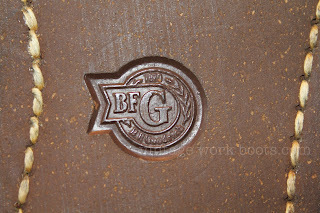 At our website for work boots we have reviewed Georgia boots and we love them! 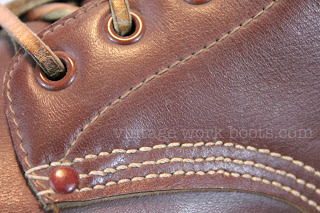 It's interesting to see the history of work boots from back then to where they've evolved to now. 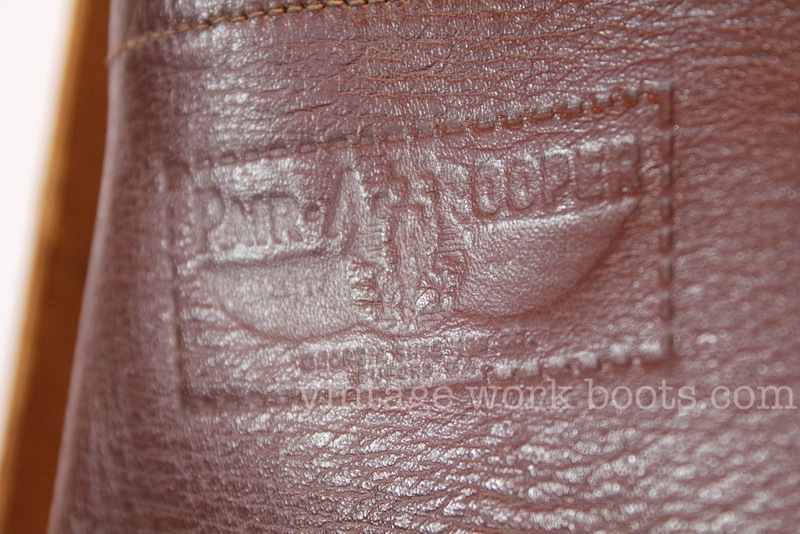 The funny thing is because everything was handmade back then, they're actually much higher quality as far as durability than they are now. 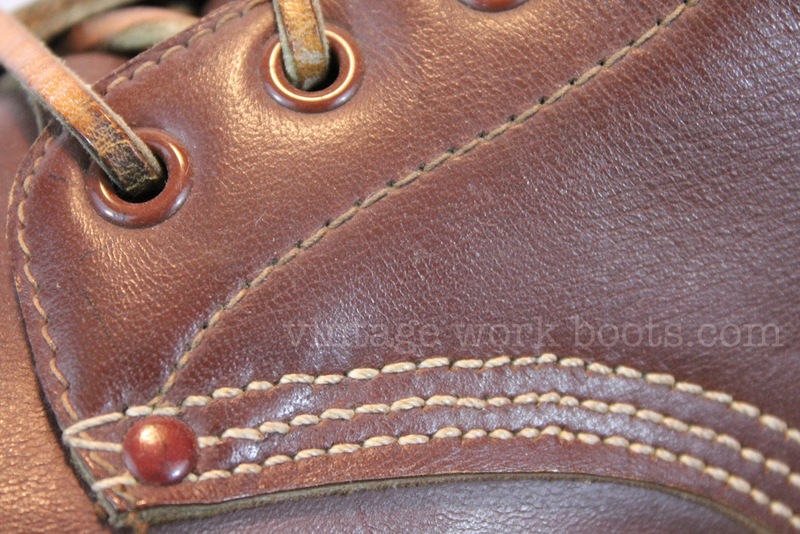 I may have to consider carrying those at Best Work Boots work boot shop.